Hej Jungs, der Weihnachtsmann hat mir das Album unter den Baum gepackt! Das warten hat sich echt gelohnt. Well done!!! Guten Rutsch und Frohes Neues Jahr aus Friedberg! @djnovanovaplanet: :) thanks so much! @tobybybot: thanks for the support!!! Already ten years since the first [re:jazz] release? God, time flies so fast, I remember like yesterday when Infracom! presents [re:jazz] was out! This one was the reason to discover deeper the label, all those jazz covers on label back catalogue sounded so magic moment. ‘’Kaleidoscope’’ seems quite a different [re:jazz] long player and it is. Just reading that is not included tones of covers like before and Alex Reinemer from Jazzanova is behind the studio work felt that Matthias Voght and his dreamy band is ready to walk in new directions. 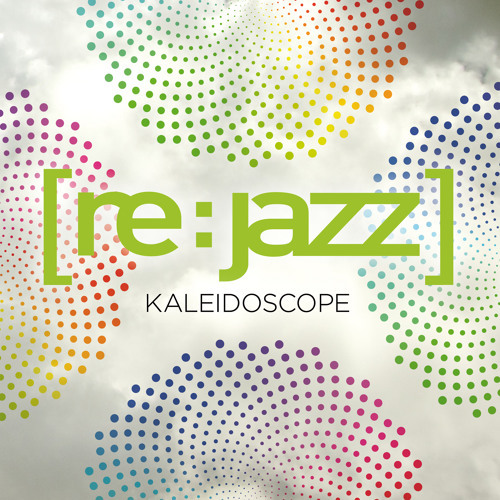 After I was hearing it ‘’Kaleidoscope’’ sounded like the most complete [re:jazz] album, the experience of their previous long players, lives, new collaborations and instruments are offering a refreshed style. The collaboration with N'Dea Davenport reminds me the Original acid jazz days of the early nineties, new [re:jazz] voice, Medina, is adding a more jazzy and soul vibe to the band like Andrew Herbertson did too with the closing track and Nathalie Schäfer came to add some spicy swinging Nekta and infracom’s universe mood on the album. Latinesque ‘’Voodoo People’’, boogaloo ‘’Eins Eins’’ and spiritual jazz and dub infuenced ‘’Windy City’’ show us some of [re:jazz] new directions too. At last the most beautiful and sentimental moments on ‘’Kaleidoscope’’ is Frankie Knucles and Satosie Tomie ‘’Tears’’ cover - this one is one the my fave house tracks over and [re:jazz] cover sounds incredibly perfect! – and ‘’Miss You’’.